Northern pike caught by Marek Marshall at the 2016 fishing tournament. Colorado Parks and Wildlife will host the Elkhead Reservoir Fishing Classic June 24 through July 2 at Elkhead Reservoir State Park. Cash prizes are offered for anglers, including $1,500 each for the fishers who snag a tagged northern pike and a tagged smallmouth bass. If only one or neither tagged fish is caught, CPW will host a drawing for the remaining prize money at the end of the tourney. Additional sums of $750 each go toward the sportsman who catches the most total pike and most bass during the nine-day event. Many other prizes totaling $4,500 will be offered daily for smallest, largest and greatest number of fish given out by 5:30 p.m. each day. 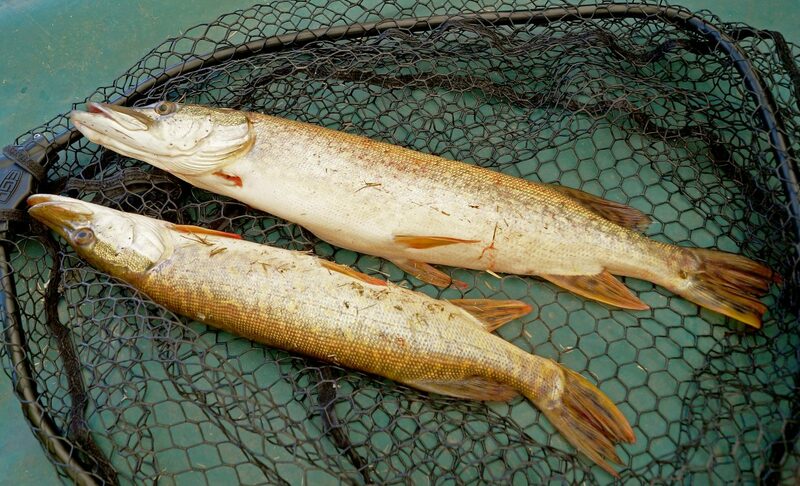 There is no limit for how many northern pike or smallmouth bass can be caught. The tournament will kick off at 6:30 a.m. June 24. Competitors of all ages are welcome for the contest, which has no entry fees. Licenses are free to ages 15 and younger and $1 for ages 64 and up. Ages 16 to 63 will require a valid 2017 Colorado fishing license, which should be purchased before the contest. All state boating and fishing regulations apply. Campsite costs at Elkhead are $18 per night, and reservations are recommended. Daily park entry is $7. For more information on contest rules, call Yampa River State Park at 970-276-2061 or visit cpw.state.co.us/documents/fishing/elkhead-tournament-rules-2017.pdf.